Today at the Sixth Tokyo International Conference on African Development (TICAD-VI), African heads of state and partners vowed to accelerate progress toward universal health coverage (UHC) in Africa. 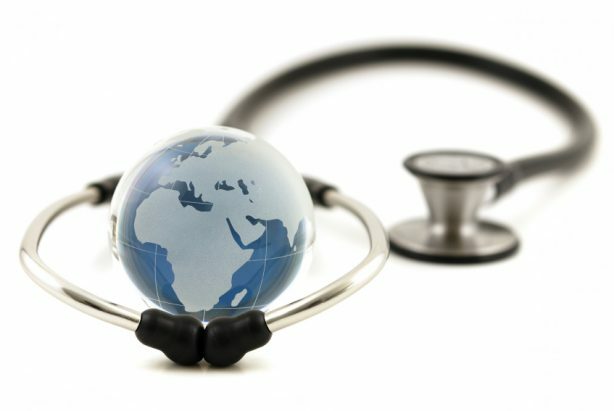 To help countries implement their health reforms, the World Bank and the Global Fund to Fight AIDS, TB and Malaria (Global Fund) committed to invest $24 billion in Africa over the next three to five years. “African countries can become more competitive in the global economy by making several strategic investments, including investing more in their people, their most prized resource,” said Jim Yong Kim, President of the World Bank Group. “At the G7 Ise-Shima Summit in May, bearing this TICAD in mind, I took initiative in leading the discussion on reinforcing the global health architecture, which will strengthen responses to public health emergencies, and on promoting UHC, which will also contribute to crisis preparedness,” said Shinzo Abe, Prime Minister of Japan. The funding announcements by the World Bank and Global Fund are one of several steps in the years ahead toward UHC in Africa. To that end, the government of Japan will support the World Bank and WHO’s annual report to track UHC progress in Africa. The World Bank and WHO have agreed to hold in 2017 in Tokyo a high-level annual meeting on monitoring progress toward UHC in Africa. Through its International Bank for Reconstruction and Development and International Development Association windows, the World Bank Group expects to contribute $15 billion in the next five years to investments that are critical to UHC, including through the Global Financing Facility, the Power of Nutrition, early childhood development, pandemic preparedness, targeting the poor, crisis preparedness and response, and leveraging the private sector. The commitment assumes a successful IDA 18 replenishment. The Global Fund’s $9 billion commitment for 2017 through 2019 includes $6 billion of investments in programs that treat and prevent HIV, TB and malaria, and also includes $3 billion of investments in systems for health such as strengthened procurement systems and supply chains, improved data quality and data management systems, and strengthened human resources for health. The commitment assumes a $13 billion Global Fund replenishment, which launches in September 2016. “In 2014, African countries spent about $126 billion of domestic funding for health, and WHO estimates that an additional $65 to $115 billion in domestic funding can be mobilised annually over the next ten years,” said Margaret Chan, Director-General of the World Health Organization. The World Bank Group, government of Japan and private sector partners recently launched the Pandemic Emergency Financing Facility, an innovative, fast-disbursing global financing mechanism designed to protect the world against deadly pandemics, which will create the first-ever insurance market for pandemic risk. It also will promote greater global and national investments in preparing for future outbreaks and strengthening national health systems.